Each week from mid of October to end of April. By car via Nürnberg to Zwiesel, see map. 5 km out of Zwiesel you our Huskyfarm. By train via Nürnberg or München to Plattling and on to Zwiesel, there we will meet you. Sunday: You´ll arrive at 18°° o´clock, if you come by train, we will meet you. 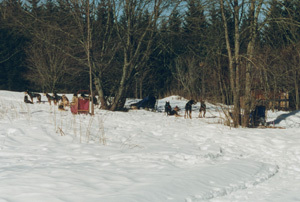 Monday: Theoretical Introduction, first short sleddogtrip. 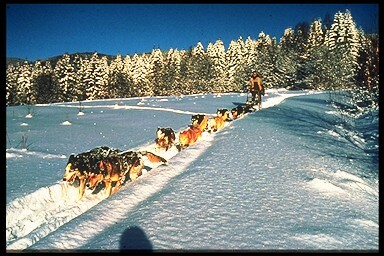 Tuesday - Friday: Daily trips from 1 - 4 hours, depending on snow conditions, theoretical background to all parts of dogmushing. Saturday: after breakfast end of the seminar.